Grewal Haulage is a family run business establish in 1999 then becoming a LTD company in 2003 now known as Grewal Haulage Ltd. Starting from one truck now successfully operating 3 Scania 32,000kg tipper trucks contracted with Tarmac CHR in their Hayes based plant. We deliver road material to all the major road and local sites for Tarmac. 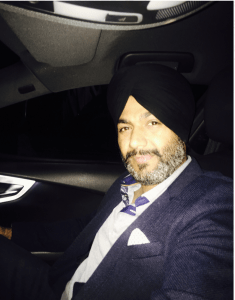 Mr Pardeep Singh Grewal is director of the company and also a FORS practitioner, who makes sure the all vehicles are up to date and in order to minimise the impact on our environment. We heard about FORS through Tarmac and we became a member by applying for FORS Bronze first time. Since then we have seen significant improvement in operations. After our membership and achieving Bronze we started working harder and emphasised on make further improvement in GrewaLHaulage Ltd to aim for FORS Silver. We started keeping all records of all the courses the drivers were undergoing and made sure they are getting full training to be safer drivers on the road. Examples of the type of training drivers underwent include Safe Urban Driver and E-Learning courses that gave a wide range of important information and importantly the drivers are able to do these in their free time from home. After achieving our Silver accreditation by applying first time again, we took advantage of all the benefits and tools FORS had to offer. This included the wide range of FORS toolbox talks and performance management toolkits, which helped us to achieve our target of kilometres per meter by noting clear consumption data for each vehicle. Now Grewal Haualge Ltd is a proud of holding FORS Gold accreditation and now works hard and follows FORS rules in order to maintain the Gold Standard achieved. Another benefit of FORS that we saw help the business significantly was the fuel use tracker. This tool helped keep track of the fuel usage and emission output of each vehicle used within the company. We have taken every step to make sure our vehicles are safer for other road users including Cycle safety side guards, sincere and audible warning speaker etc. This was done to make sure our fleet was safer on the road. It has been well worth making these changes especially the introduction of 360 degree cameras that save our vehicles from being falsely blamed for road incidents and has made our drivers more responsible as now every moment is being recorded. We at Grewal Haulage Ltd make sure all our drivers in good repute before they join our company with good references and a clean license. Every driver holds a C category minimum with a driver qualification card in order to legally drive our 32000kg rigid vehicles. Day to day we make sure they fit to drive before we send them out to work, all our drivers go through full health check ups regularly and a eye test every 6 months. By following FORS rules and using anti-idling toolkit we have made a significant decrease in noise pollution within our company. Furthermore, by implementing the technique learned from the anti-idling toolkit, we are saving on fuel expenses due to improve efficiency. The vehicles we use to deliver asphalt material on major roads and local sites is operated on a PTO system and must have an insulated body. Currently the most environmently friendly engine we have available is the Euro-6 engine and Scania is a well known environmently friendly truck manufacturer that we have been employing for the last fifteen years. We strive to stay up to date with any changes and improvements made in the tipper vehicle industry. At Grewal Haulage Ltd, our plans for future are to maintain the FORS GOLD accreditation we have achieved and to continue to work on our driver’s professional skills through development in classroom training and toolbox talks provided by FORS. Within our vehicles we have currently Euro-6 engines which will be kept up to date and replaced by the future Euro editions and have additionally purchased a new low entry/high visibility vehicle to replace one of our legacy vehicles that was proving to be inefficient due to being a Euro-5 Engine. Conclusively, Grewal Haulage Ltd looks forward to continuing it’s improvements in reducing the CO2 levels we are responsible for by covering more mileage per gallon. We hope to achieve such by training our drivers and performing at our optimum level by fully embracing the suggested FORS practices. 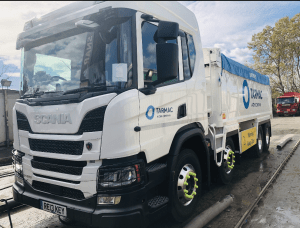 Note – The picture of the vehicle attached to case study was taken before being delivered to Grewal Haulage Ltd thus the reason for the FORS stickers missing, it is now running with all appropriate FORS stickers applied on display.